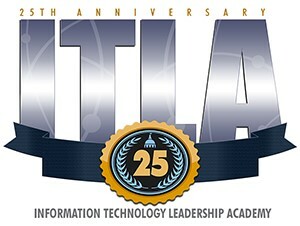 The IT Leadership Academy kicked off its 25th year on October 13, 2017. The event was hosted by Gretchen Williams, Deputy Director of the Office of Professional Development, Department of Technology, and was attended by many state IT executives including AIOs, CIOs, deputies, and former ITLA graduates. The inaugural keynote speech was delivered by Amy Tong, Director and California State CIO, and Chris Cruz, Chief Deputy Director, Department of Technology. ITLA 25 Class Manager Andrea Hoffman, Project Director, Department of Technology, and Class Sponsor Ryan Wong, Applications Manager, CDCR, provided insight and encouragement to the incoming class to prepare them for the year ahead. Raymond Basiri, Bureau Director, FTB, will also serve as Class Manager and Brenda Bridges Cruz, Deputy CIO, Covered California, will lend her wisdom and knowledge for another year, this time as a Class Sponsor. ITLA 24 alumni Daniel Signorotti, Data Processing Manager II, OSHPD, was also a featured speaker and shared his five keys to success in the ITLA program. The day concluded with a lively session focused on essential leadership skills led by CSUS instructor Kori Czasnojc. The Program is already off to a great start as the new ITLA class “leans in” and gears up for an exciting and memorable experience.